EVENTS THAT ARE TAKING PLACE TODAY ARE OF CRUCIAL IMPORTANCE TO THE WHOLE CONDUCT OF THE WAR IN THIS THEATRE . . . THIS BATTLE WILL NOT DECIDE THE WAR; BUT IT WILL DETERMINE THE IMMEDIATE TACTICS WHICH WILL BE PURSUED BY THE ALLIED FORCES AND BY THE COMMON ENEMY. Fear of Japan's imperialist designs on Australia had been circulating since the early part of the century when Russia had been defeated in the Russo-Japanese War of 1904-05. Stories and melodramas such as Randolph Bedford's play White Australia, or The Empty North fed fears of a 'Yellow Peril' invading Australia. During the 1930s Japanese documents such as The Greater East Asia Co-Prosperity Sphere sometimes mentioned Australia as a possible colony. Access to Japanese records has led to the realisation that this idea, put forward by the Japanese Navy, had been rejected by their High Command. The purpose of attacks on Darwin and other parts of Australia was to weaken the country's value as an American base. Nevertheless this was unknown to most Australians at the time and a palpable fear persisted. During March 1942 the Japanese advance had continued.Their forces had occupied many of the islands east of Papua including the Solomons and Bougainville. Important Japanese airfields had been established on the islands of Tulagi and Guadalcanal. In late April US Intelligence detected a major Japanese flotilla heading toward the Coral Sea. The Japanese codename for the flotilla was Operation MO. Its objective was the invasion of the small, but strategically important, Papuan town of Port Moresby.Allied ships were instructed to steam to the area to prevent this move and the lines were set for the Battle of the Coral Sea which was fought from 5-8 May. United States forces were the main protagonists on the Allied side but Australian ships and aircraft also participated in the fighting. On 29 April Operation MO, commanded by Admiral Inouye, was ordered to attack Port Moresby. The Japanese force consisted of seven transports, five destroyers, a light aircraft carrier, the Shoho, and the fleet carriers Shokaku and Zuikaku. There were also three heavy cruisers, a light cruiser, a squadron of submarines and six destroyers. They were based at Rabaul and the recently occupied Tulagi in the Solomon Islands The Allied forces numbered thirteen destroyers, eight cruisers, four light cruisers and two aircraft carriers, the USS Lexington and USS Yorktown. Rear-Admiral Frank Fletcher was the fleet commander. The overall commander of the Allied Pacific Fleet was Fleet Admiral C.W. Nimitz. The Allied ships had the advantage of being fitted with radar, an invention unknown to the Japanese. Australia's part in the battle consisted of the heavy cruiser, HMAS Australia, the light cruiser HMAS Hobart, and aircraft flown from bases in Queensland by both Australian and American crews. The Australian squadron was commanded by Admiral Sir John Gregory CRACE (Commanding Australian Squadron (Coral Sea) 1939-1942), an Australian-born member of the British Navy. The American cruiser, USS Chicago, and the destroyers, USS Perkins, USS Walker and USS Farragut, were also under Crace's command. The engagement of 5-8 May 1942, was the first sea battle in history where none of the opposing ships was within gunfire range. All damage to the ships was inflicted by aircraft. Some planes, of course, were downed by guns on the ships. Both sides had difficulty in finding and identifying their enemy. Early on 7 May the American oiler, Neosho, and its accompanying destroyer were sunk by Japanese planes. The Japanese mistakenly believed the Neosho, because of its unorthodox superstructure, was an aircraft carrier. Meanwhile, about noon, American search aircraft sighted the Shoho and planes from the US carriers attacked and sank the Japanese carrier and its escorting light cruiser. In the early afternoon eleven Japanese torpedo bombers attacked Crace's ships with bombs, torpedoes and intense strafing. The Allied squadron fired a strong barrage at the enemy and probably more than five Japanese bombers failed to return to base. 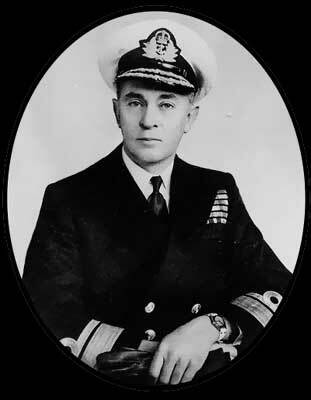 Skilful steering by HMAS Australia's commander, Rear-Admiral H.B.Famcomb RAN, helped the ship to escape being hit. The first attack was over in less than five minutes. 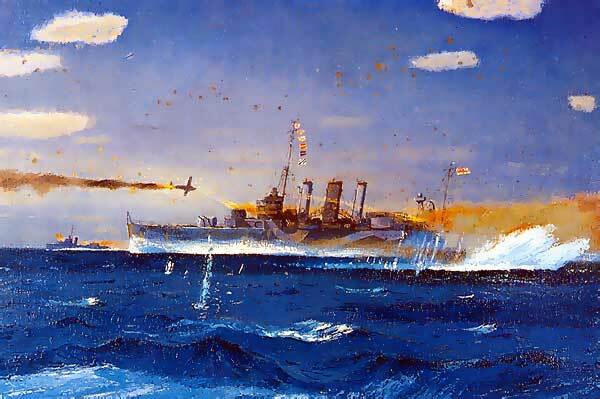 Amazingly, and partly because of inaccurate shooting by the Japanese, none of the ships was severely damaged. The Americans suffered three casualties including two who were mortally wounded, and the Australians suffered six casualties. A second attack was mounted almost immediately, this time with accurate pattern bombing from a high altitude. Such bombing caused giant columns of water and seemed to threaten HMAS Australia with sinking. The ships, although drenched with sea-water, managed again to evade the enemy bombs. The high-level bombers quickly departed. As often happens in closely fought battles, 'friendly fire' might have been a factor in some of the damage incurred. A less excusable incident took place minutes later when three planes flew over and narrowly missed hitting Farragul and Perkins. They were US Army Air Force B-17 bombers whose crews reported that they had badly damaged a squadron of Japanese ships. The Japanese bomber pilots, for their part, believed that they had sunk one battleship, severely damaged another battleship and a cruiser. In fact Crace's squadron, largely undamaged, and was able at nightfall, to cruise away and await events. Nevertheless his situation was unsure as radio silence prevented him from knowing what was happening among the main Allied flotilla. Back in the main area of the battle Allied pilots were returning at nightfall to their carrier Yorktown. In another of the bizarre quirks of warfare, they were joined by eighteen Japanese bombers whose tired pilots had mistaken the American carrier for one of their own. When an American pilot waiting in the queue opened fire the Japanese were alerted and flew off, unable to attack the carrier as they had already dropped their bombs. During the night Inouye decided to delay the invasion of Port Moresby by two days. The end of the battle came on 8 May when aircraft from the opposing carriers were engaged in fierce fighting. Lieutenant J.J. Powers, one of the American pilots of the Allied dive-bombers, inflicted heavy damage on the Japanese carrier Shokaku by waiting until the last minute to release his bomb on the flight deck. He was, of course, killed and won a posthumous Congressional Medal of Honour. In the subsequent blaze on the Japanese carrier 150 men were killed or wounded. Read his citation at the bottom of this page. Soon Japanese aircraft attacked the American carriers. The USS Yorktown was damaged and USS Lexington suffered several direct hits and was ablaze from stem to stern. The carrier had to be abandoned. About 2,700 men were picked up. To prevent any attempt at salvage by the enemy the ship was sunk by USS Phelps. On the Japanese side the Shokaku was severely damaged and the Zuikaku lost nearly all its aircraft. Both sides withdrew with the score of losses about equal. The word 'victory' is perhaps not applicable to the result for either side. Nevertheless the objective of the Japanese naval task force, the taking of Port Moresby, had been thwarted. This was an important factor in building the morale of the overstressed Allies. Just under a month later a much more crucial sea battle in the war against Japan took place outside the South West Pacific war zone. This was the 4-6 June engagement between US and Japanese ships off the central Pacific island of Midway. By mid-May Allied Intelligence had detected that the Japanese intended to attack the United States territories of Midway Island in the Central Pacific and the Aleutians in the North Pacific. This would give the Japanese strategic superiority in the Pacific. Accordingly, the Americans sent the carriers, USS Enterprise, USS Hornet and USS Yorktown to an area north of Midway. The Japanese commander, Yamamoto, ordered his four large carriers, Kaga, Akagi,Hiryu and Soryu south from Japan to attack Midway Island. Both sides sighted each other on 3 June. 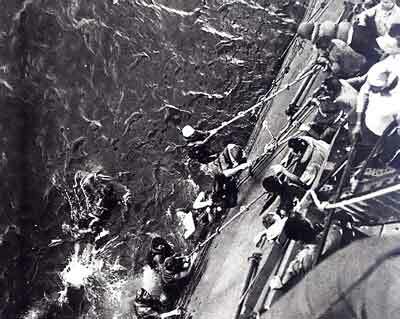 On 4 June US aircraft sank all four Japanese carriers. The main American loss was the Yorktown. Thus the battles of the Coral Sea and Midway effectively ended Japan's naval superiority. The setback of the Coral Sea battle and the decisive loss at Midway, however, did not stop the Japanese war machine from making attacks on the eastern coast of Australia. On the night of 31 May-1 June, as a diversionary tactic in preparation for the Midway offensive, midget submarines entered Sydney Harbour. Two of the submarines were sunk, but not before one of their torpedoes had hit the depot ship HMAS Kuttabul. Nineteen Australian naval ratings on board were killed. Townsville, which had an important airfield, was also bombed on 26 July. 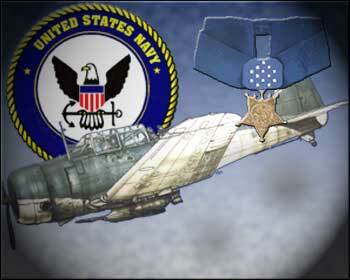 Awards: CMOH, Air Medal with 1 gold star. For distinguished and conspicuous gallantry and intrepidity at the risk of his life above and beyond the call of duty, while pilot of an airplane of Bombing Squadron 5, Lt. Powers participated, with his squadron, in 5 engagements with Japanese forces in the Coral Sea area and adjacent waters during the period 4 to 8 May 1942. Three attacks were made on enemy objectives at or near Tulagi on 4 May. In these attacks he scored a direct hit which instantly demolished a large enemy gunboat or destroyer and is credited with 2 close misses, 1 of which severely damaged a large aircraft tender, the other damaging a 20,000-ton transport. He fearlessly strafed a gunboat, firing all his ammunition into it amid intense antiaircraft fire. This gunboat was then observed to be leaving a heavy oil slick in its wake and later was seen beached on a nearby island. 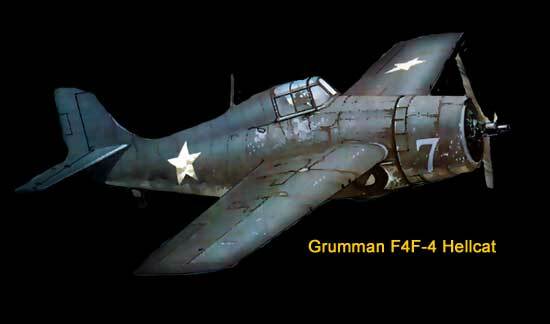 On 7 May, an attack was launched against an enemy airplane carrier and other units of the enemy's invasion force. 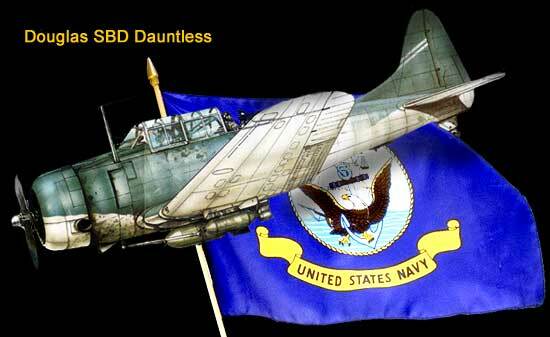 He fearlessly led his attack section of 3 Douglas Dauntless dive bombers, to attack the carrier. On this occasion he dived in the face of heavy anti-aircraft fire, to an altitude well below the safety altitude, at the risk of his life and almost certain damage to his own plane, in order that he might positively obtain a hit in a vital part of the ship, which would insure her complete destruction. This bomb hit was noted by many pilots and observers to cause a tremendous explosion engulfing the ship in a mass of flame, smoke, and debris. The ship sank soon after. The next morning, 8 May, as the pilots of the attack group left the ready room to man planes, his indomitable spirit and leadership were well expressed in his own words. He led his section of dive bombers down to the target from an altitude of 18,000 feet, through a wall of bursting anti-aircraft shells and into the face of enemy fighter planes. Again, completely disregarding the safety altitude and without fear or concern for his safety, Lt. Powers courageously pressed home his attack, almost to the very deck of an enemy carrier and did not release his bomb until he was sure of a direct hit. He was last seen attempting recovery from his dive at the extremely low altitude of 200 feet, and amid a terrific barrage of shell and bomb fragments, smoke, flame and debris from the stricken vessel.